Roland V. Anglin’s career spans more than twenty-five years of working in the public, educational, and philanthropic sectors. In all his professional positions, Anglin has focused on promoting economic and community development in and for low-income communities. Currently, he is Dean of the Maxine Goodman Levin College of Urban Affairs at Cleveland State University. Immediately prior to this position, Anglin was the Senior Advisor to the Chancellor of Rutgers University-Newark and Director of the Joseph C. Cornwall Center for Metropolitan Studies, an applied research institute at the university. In his role as Senior Advisor, he worked as part of a team to implement various initiatives using the anchor role of the university to improve postsecondary outcomes in Newark. Dr. Anglin began his academic career at Rutgers University in the late 1980’s. During this time, he published some of the seminal work on citizen attitudes toward sprawl development. In 1991 he was recruited to the Ford Foundation, where he spent eight years. He served first as the program officer responsible for community development. Subsequently, he was asked to become Deputy Director for Community and Resource Development, which is part of the Asset Building and Community Development Division. 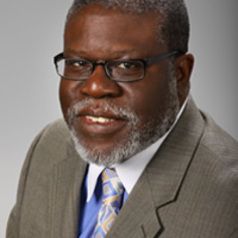 After leaving Ford in 1999, Dr. Anglin went to the Structured Employment Economic Development Corporation (Seedco), a national community development intermediary. At Seedco, Dr. Anglin was the Senior Vice President responsible for building the capacity of community-based housing organizations in twenty-three cities partnering with Seedco. After returning to academia in 2000, Dr. Anglin published three books: Promoting Sustainable Local and Community Development, Katrina's Imprint: Race and Vulnerability in America (with colleagues), and Resilience and Opportunity (with colleagues). Anglin received his doctorate from the University of Chicago, a master’s degree from Northwestern, and a bachelor’s degree from Brooklyn College (City University of New York).